While research shows that almost 85% of Americans would like to live in an eco-friendly home, only about 30% of us actually do. Making environmentally friendly decisions doesn’t always require a massive investment. Sometimes, it’s just a question of finding quality eco-friendly products to decorate, organize, roof, and clean your home. 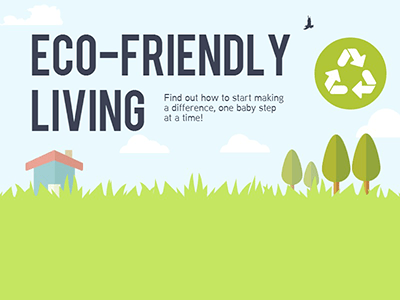 In this infographic, find out how you can start making a difference, one baby step at a time! Are you ready to start doing your part to protect the environment? Call Keith Green Construction Inc., your sustainable roofing company in Portland, Oregon!